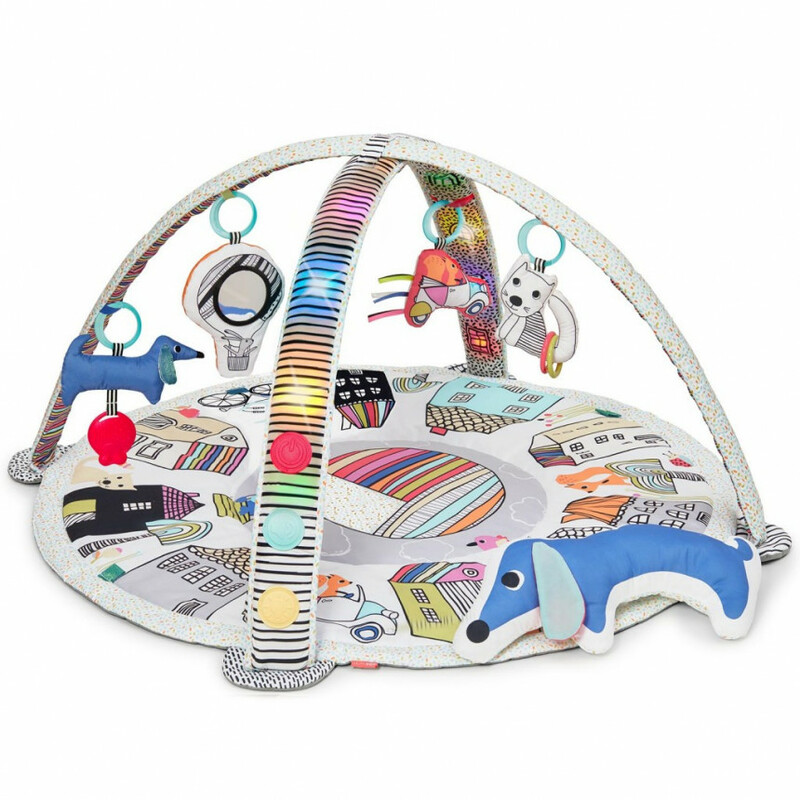 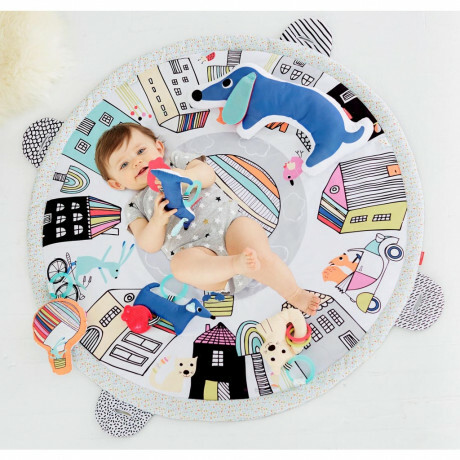 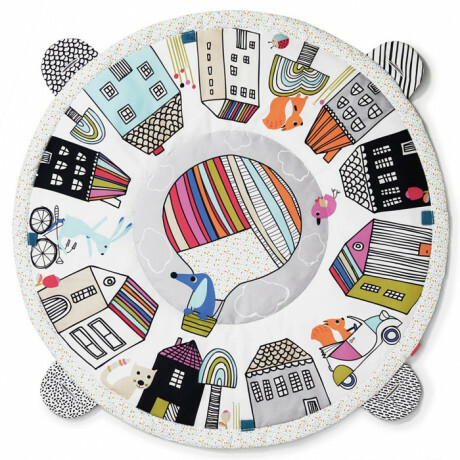 Our light up baby gym features black and white graphics with bold colors to stimulate baby’s sight as he or she grows to view a rainbow of color. 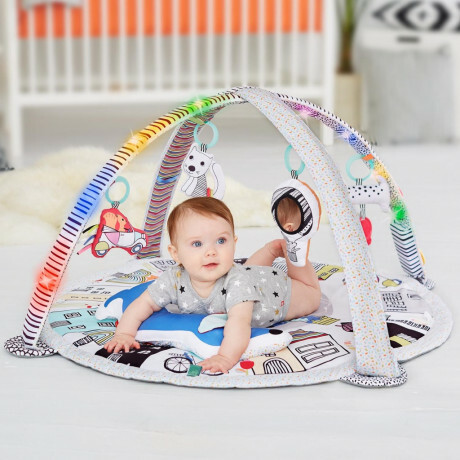 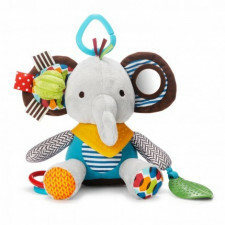 The unique, interactive arches play upbeat music along with two light modes: trackin..
Our light up baby gym features black and white graphics with bold colors to stimulate baby’s sight as he or she grows to view a rainbow of color. The unique, interactive arches play upbeat music along with two light modes: tracking for baby to follow and an amazing light show. 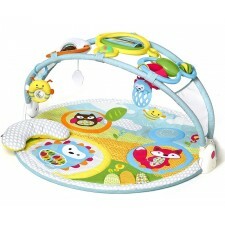 This musical baby gym even has fun sounds as baby bats at the four hanging soft toys. 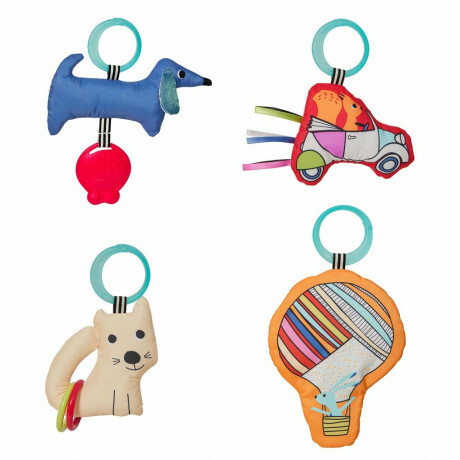 Plus, bright and colorful lights illuminate each window to make learning and development fun.